Want to try grooming and beauty products before you buy them? Well BirchBox Man let's you do just that, if you sign-up for their monthly subscription service you get trial sizes of various grooming products each month delivered right to your door. 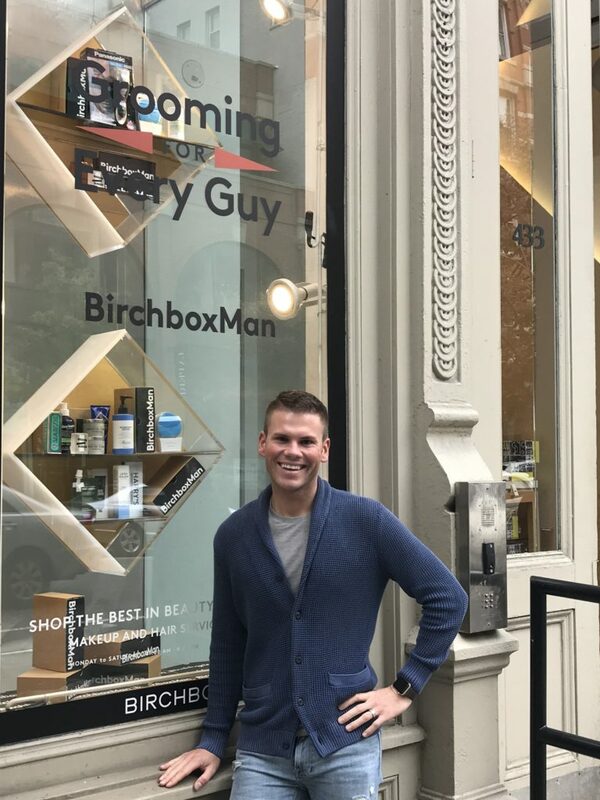 We were recently in New York City and visited the BirchBox Store in SoHo. At the BirchBox Store, the lower level is dedicated to grooming products for men. At the store you can see a full line-up of all of the products BirchBox carries. After you get products you like in your monthly box, you can purchase the full-size from BirchBox. One thing we really like at the BirchBox Store is that you can trial any of the full-size products they have online. Whether you are looking for shaving cream, shampoo, body lotion, lip balm, beard products, hair products, deodorant, cologne or grooming accessories, the BirchBox Store has you covered. Imagine one place where you can try and then purchase any product you need to make a well-groomed man. The staff at the BirchBox Store is very knowledgeable, they are there to answer any questions, make recommendations on any of their products and further explain their monthly subscription box. Each time we visit New York City, this is a must stop! We couldn't help but to pick up a few new products while we were there.